Among other things, you have many more fields available in the dialog for editing a user, including username, email address, recovery code, and more. You can now generate recovery codes during CSV import. 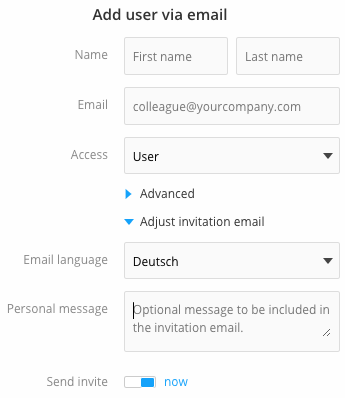 When you manually invite users to the app, you can add a personal message to the email invitation and set a time to send the email invitations. Users with and without email address are now allowed to reset forgotten passwords. 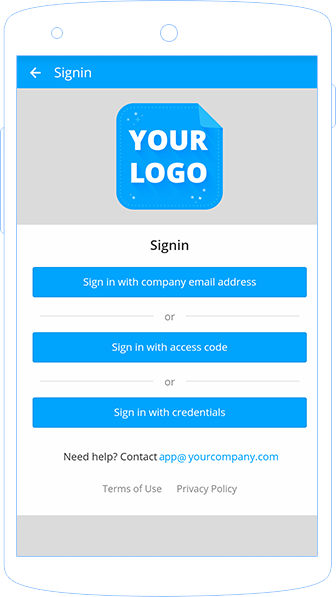 Depending on how users log in to the app, the password is reset via email or a recovery code. Contact your account manager to learn more about how to fully leverage all of the new onboarding options. For those of you who remember Spaces from our February release, we have some great news: Beta testing is now complete and the Spaces functions are available to all customers. 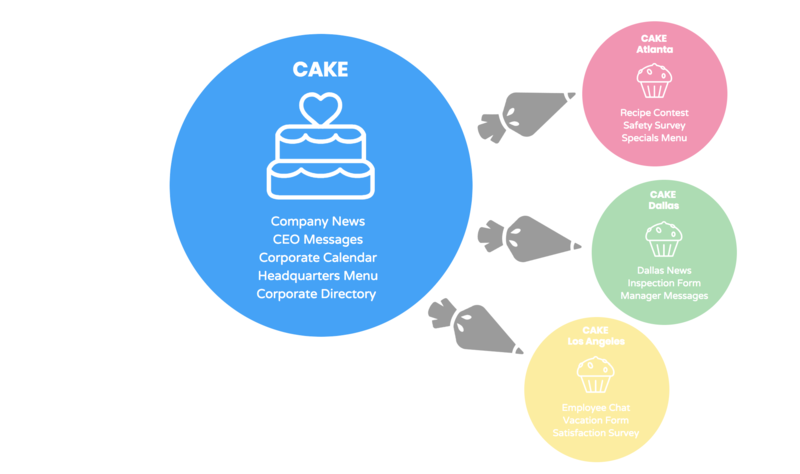 Spaces allows you to manage content in a decentralized way for specific target groups. You create a separate area (space) for each target group, the contents of which are only accessible to this target group. Space administrators autonomously manage content in the space. You can now set a name for the space. 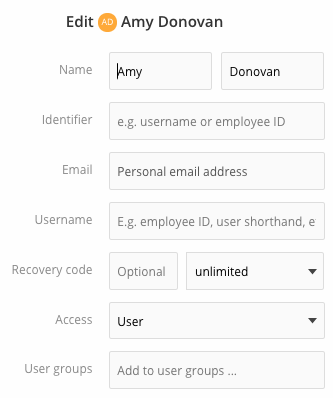 While the name was previously based on the user group, you can now choose it freely. 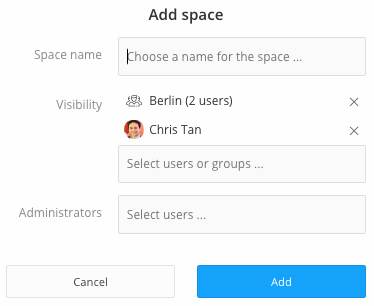 The name of the space is not displayed to the users; it is only used to manage spaces in the admin interface. Now add more than one user group to a space. This enables you to achieve powerful and efficient content targeting because you can reach target groups that are distributed across different user groups. 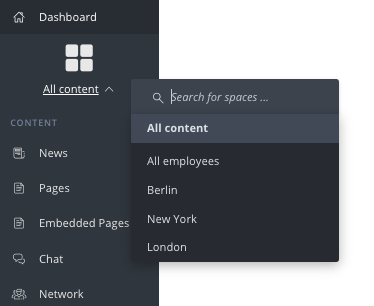 The redesigned sidebar allows quick access to all spaces via a drop-down menu and search. The buttons for managing spaces are now also organized intuitively in the menu. With the new space search you will always find the right space, even with a large number of spaces. In cases when there are many spaces, for example in large companies, the search makes it easier to navigate between several spaces. Determine the order of contents in the user menu by sorting the arrangement of spaces in the admin interface. As a result, users see the information relevant to them in the app. 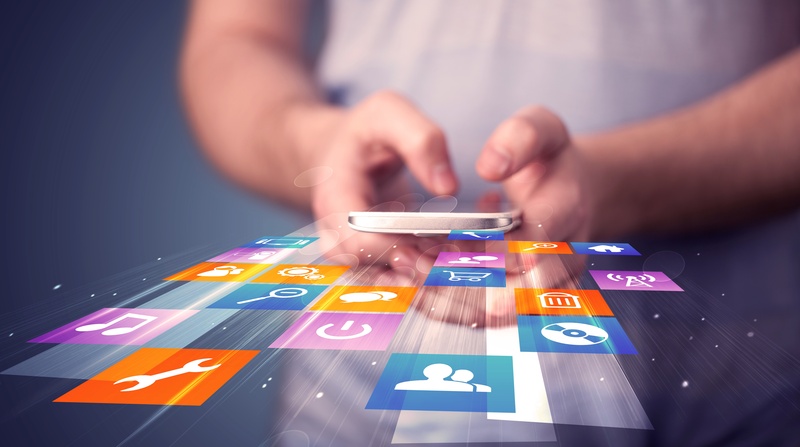 For companies that embrace digital change with an employee app, social media is essential for positioning themselves on the market, winning customers, and attracting new talent. Now your employees can easily share selected public content from your employee app on Twitter, Facebook, Linkedin, or via email. Through the admin interface, you have full control over what content can be shared. 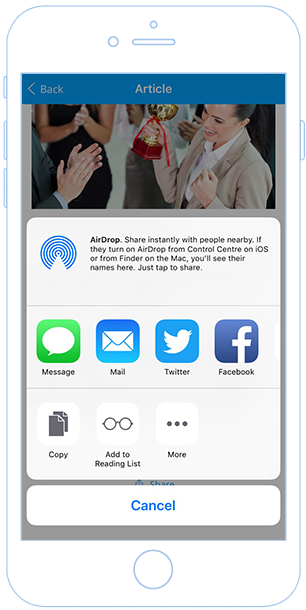 The sharing function opens the website or the app on your smartphone making sharing as easy as possible. Through sharing, your employees become advocates for your company. Chats are a straightforward and convenient way to communicate directly. However, conversations quickly accumulate. Now you can keep your inbox organized by archiving chat conversations. Archived conversations can be retrieved at any time. 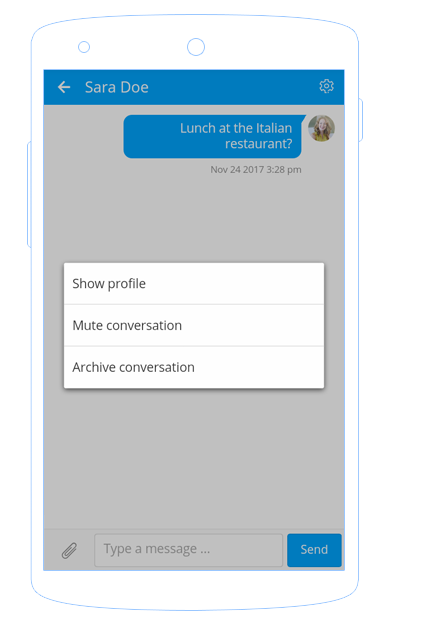 When a new message is received for an archived conversation, the conversation will automatically be moved back to the inbox. Your inbox will always display the latest news.